The first time that visitors catch sight of the castle, commanding a rock above the Conwy Estuary and demanding as much attention as the dramatic Snowdonia skyline behind it, they know they are in the presence of a historic site which still casts a powerful spell. 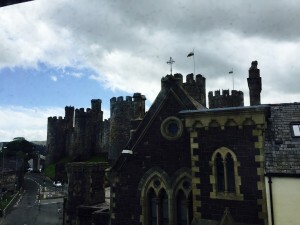 Conwy, constructed by the English monarch Edward I between 1283 and 1289 as one of the key fortresses in his ‘iron ring’ of castles to contain the Welsh, was built to prompt such a humbling reaction. 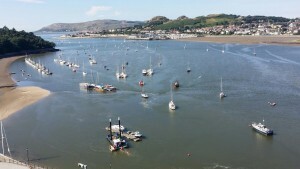 A distinguished historian wrote of Conwy, ‘Taken as a whole, Conwy’s incomparably the most magnificent of Edward I’s Welsh fortresses’. In comparison to other great Edwardian castles, it is also relatively straightforward in design, a reflection of the inherent strength of its robust site. 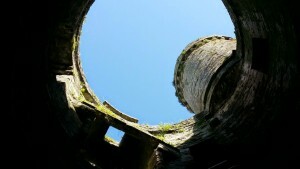 The views from the battlements are breathtaking looking out across mountains and sea and down to the roofless shell of the castles 125ft Great Hall. 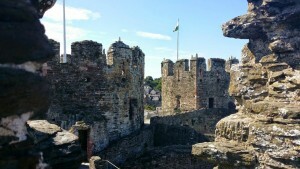 It is from these battlements that visitors can best appreciate Conwy’s other great glory, its ring of town walls. 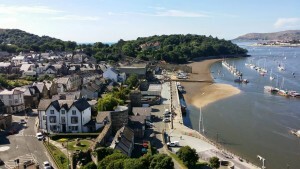 Conwy is the classic walled town. Its circuit of walls, over three quarters of a mile long and guarded by no less than 22 towers, is one of the finest in the World. 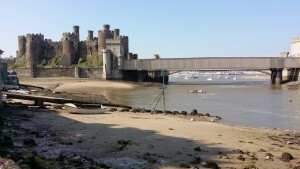 Access by road to Conwy on the A55 and B510, Conwy railway station is next to the castle.